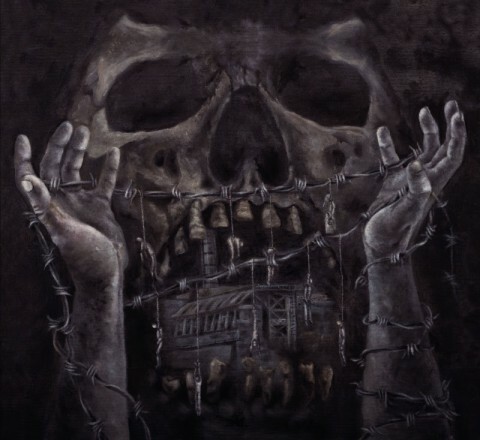 The new full-length record "26" of the Ukrainian black metallers Kzohh has been released today, on April 26, via Ashen Dominion Records. The full album stream can be found above. "26" release was held on the International Chernobyl Disaster Remembrance Day. One of the album’s tracks, which title 51°23'20"N,30°6'38"E is the coordinates of the Chernobyl NPP, is dedicated to this accident. The second track, which also has the coordinates 61°45'17"N,59°27'46"E as a title, referring to the Dyatlov Pass, is dedicated to the death of 9 ski hikers, headed by Igor Dyatlov, in 1959. "26" is available as CD Digipack, T-shirt + CD Digipack, and Wooden Box. Order the album via Ashen Dominion shop. "51°23'20"N,30°6'38"E" was written and arranged during winter 2017. Drums, bass, and guitars recorded live in Hold Records, Kharkiv, Ukraine, March 2017. "61°45'17"N,59°27'46"E" was written and arranged during winter 2015. Drums, bass, and guitars recorded live in Hold Records, Kharkiv, Ukraine, February 2015. Both tracks were engineered by Rst7/CBSIE. Keyboards and samples recorded in OldHyozthome Studio, Uzhgorod, Ukraine, spring 2017 — autumn 2017. Engineered by Hyozt (Kzohh's guitarist, keyboard player). Vocals recorded in Beast Sound Studios, Uzhgorod, Ukraine, winter 2017. Engineered by Dmytro Pavlovskiy. Kzohh's three previous albums "Rye. Fleas. Chrismon. ", "Dilogy: Bring Out Your Dead" and "Trilogy: Burn Out The Remains", according to the vocalist Zhoth, were dedicated to mass pestilences. 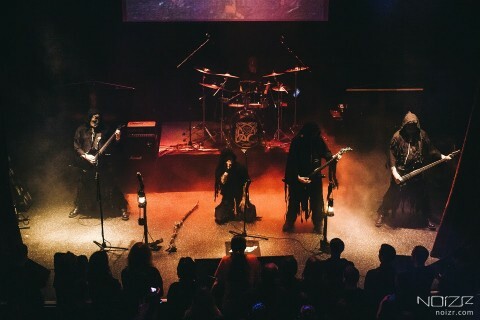 Follow the link to see the photo report from the debut Ashen Dominion Fest, which line-up featured the performing acts Khors, Raventale, Ulvegr, Kzohh, and Severoth.